Today during their pre-CES launch event honor announced a new smartphone as well as a new fitness tracker called the honor band Z1. I found interest in the honor band Z1 because of the fact that it acts as a fitness band but doesn't follow the rectangular form factor that many fitness devices such as the Microsoft band have adopted, while allows it to also act as something similar to a typical circular watch. The honor band Z1 sports a 1.06" 128 x 128 PMOLED display. This is obviously a much lower resolution than high end smartwatches, but for the intended applications of the honor band Z1 it makes sense in order to preserve battery life. The stainless steel case has a diameter of 38mm, a thickness of 9.5mm, and a mass of 25 grams. It's powered by a Cortex M4 based STM32F411 CPU from STMicroelectronics, which is paired with a 70 mAh internal battery. Honor states that the battery will last for 3-4 days of normal use, including daytime fitness use and sleep tracking. Like most wearables, the honor band Z1 is IP68 certified. In addition to fitness tracking, the honor band Z1 does support some forms of communication, including notification mirroring and caller ID. It connects to your smartphone via Bluetooth 4.1, and supports iOS 7.0 and newer, as well as Android 4.4.4 KitKat and newer. 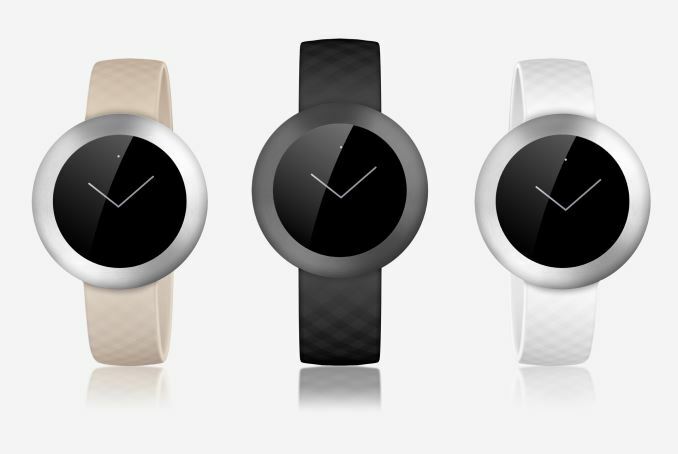 The bands come in black, white, and cream finishes, with the black band model also coming with a black steel finish. It will retail for $79.99 USD when it goes on sale at the end of the month. Imho the biggest issue with the smartwatches is the size. Where current models are at the upper limits for mens' watch, trying to put something like that on an average women wrist is awful. This model though is finally getting a little bit closer to gentle dimensions.